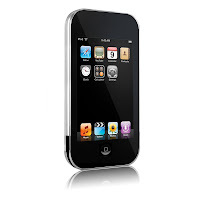 The Naked Case from Case-mate is a revolutionary case for iPod Touch that cover the Touch completely, including the screen, but still allow full play-through access to the iPod Touch. The reason that the Naked case is given such a name, is because your iPod Touch will looks as if it's wearing nothing at all with the Naked case. It is an acrylic case, that make use of the patent-pending electrostatic membrane on the front of the case. The membrane will passes electrical pulses through to the iPod Touch screen, allowing the touch control to work perfectly while the Touch stays in the case. Also, there are precise cutouts on the case that allow access to all other controls of the iPod Touch. The Naked Case is currently the only case available on the market, that provide complete coverage (including screen) to the iPod Touch, and still maintain the full play-through access. The price is currently $34.99, and it's available on Case-mate's website.